Le Dune offers a relaxing swimming pool area composed by 2 pools, both heatable and surrounded by sun chairs and loungers: one for adults (1,40 m. deep) provided with a Jacuzzi area, and one for children (0,60 m. deep) with fountain. The area is equipped with a wide array of loungers that surround the surface of the water. 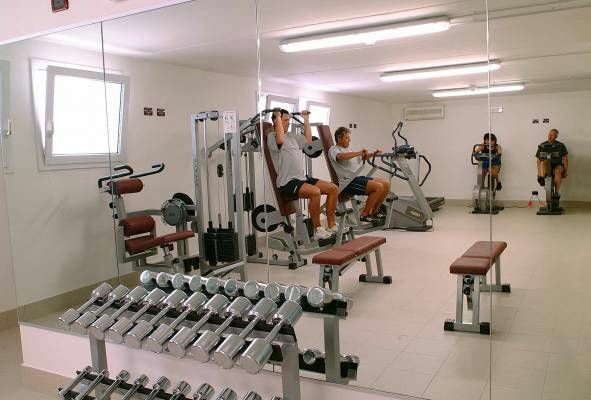 For all those people who love fitness and do not want to give up the pleasure to make sport even on holiday, Le Dune provides a a well-equipped fitness-point with modern Technogym machines. Every accommodation has a private parking place in the underground parking area (2,10 m. height).